Sergio Perez says his relationship with outgoing Force India F1 teammate Esteban Ocon was “never great”. 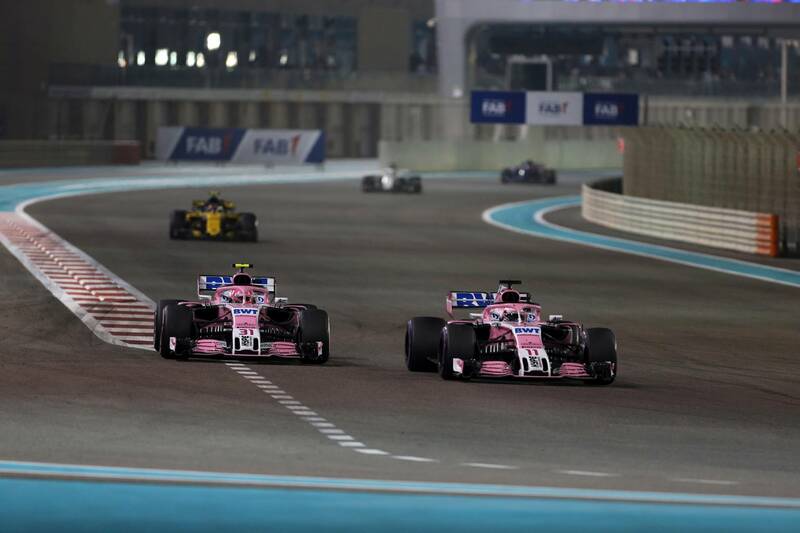 Sergio Perez admits his relationship with outgoing Force India Formula 1 teammate Esteban Ocon was “never great”. The pair spent two years as teammates together at Force India and helped the Silverstone-based squad to a joint-best fourth-place finish in 2017, before it slipped to seventh in this year’s constructors’ championship after the team started from zero points following a summer takeover led by Lawrence Stroll. Tensions between Perez and Ocon grew following a pair of on-track collisions at Baku and Spa in 2017 - prompting Force India to use team orders to manage its drivers on-track battles - before they clashed again on the opening lap of this year’s Singapore Grand Prix. “To be honest it was never great, the greatest one,” Perez explained. “We are both very professional, we don’t spend a lot of time out of the car, so it was quite very flat. “I’ll say that with my past teammates, there was more of an outside relationship. “I’ve had it before, with [Nico] Hulkenberg. It’s always hard, we are so competitive, and also when you are not teammates anymore, the relationship all of a sudden gets a bit better. It depends. Ocon lost his seat at Force India to Lance Stroll for 2019 and has missed out on a full-time drive altogether, resulting in the Frenchman taking up a reserve driver role at Mercedes next season. Asked how he expects to fare alongside his new teammate, Perez replied: “I don’t know him much as a driver. “In Formula 1, it’s so difficult to prepare, to know a driver from another team. 95 percent of your results is done by the car. He’s certainly had a poor season down to his car. I think Williams had a lot of trouble. “But the kid definitely has talent. He’s been on the podium, when it’s wet, he’s always up there, and I think he’s coming to a great team with one of the best engineers in the world.